© Springer-Verlag 2008 rd 43 Biennial Meeting of the German Colloid Society rd This volume containsselected paperspresented at the 43 Biennial Meeting of the German Colloid Society held at the Schloss Waldthausen near Mainz, October 8-10, 2007. The meeting's emphasis was given to "Surface and Interfacial Forces - From Fundamentals to Applications" but also provided a general overview on current aspects of colloid and polymer science in fundamental research and applications. 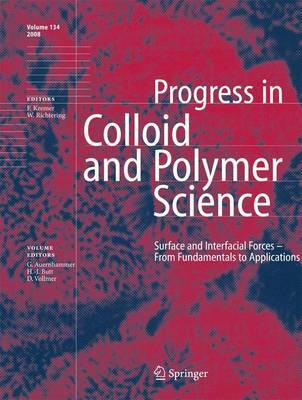 The contributions in this volume are representative of the richness of research topics in colloid and polymer science. They cover a broad eld including the application of scanning probe techniques to colloid and interface science, surface induced ordering, novel developments in amphiphilic systems as well as the synthesis and applications of nano-colloids. The meeting brought together people from different elds of colloid, polymer, and materials science and provided the platform for dialogue between scientists from universities, industry, and research institutions.